Poppy has been keeping hamsters for nearly four years and enjoys helping other pet owners. A hamster is an inexpensive pet that is easy to take care of and suitable for children. They are very sweet and can be tamed reasonably quickly and easily, but what happens when upon bringing your new fluff ball home you notice that they are terrified and won't approach you? Even after some time goes by, the little guy or gal might still be shy, jumpy, or afraid of you. I bought a boy and a girl hamster and because the shop owner wasn't very gentle or patient, they were extremely jumpy and nervous. Although it took some time, they are now very friendly and sweet! So, how can you get your hamster to trust you? Here are some things to do and not do to turn your nervous pet into your new best friend. I've had one or more in the past. I currently have one or more hamsters. I don't have one, but I'm thinking of getting one. 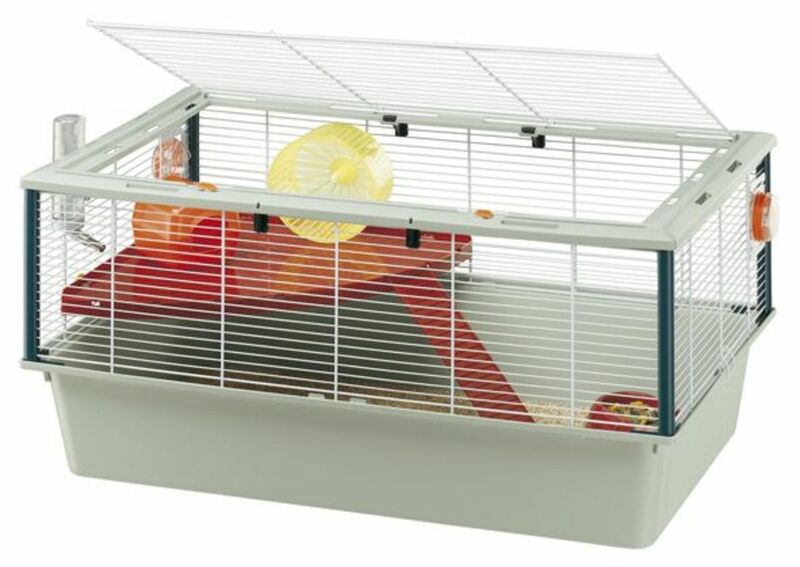 Make sure your hamster has an adequately sized cage, ideally with several floors and plenty of space to run around. Wild hamsters run miles and miles every night, and if he or she has enough space, she'll be happy. My hamster became a lot friendlier after I gave her a larger cage with three floors and plenty of space. I recommend the fantastic three-floor Hamster Haven by Prevue to keep your hamster busy and happy climbing and exploring. I used it for my first hamster and there was plenty of space for him to run around and climb. When you bring your new hamster home, she might be in a new cage. Your home smells completely different from the pet store or her previous home. She is surrounded by new people who smell different. If she's young, she might be away from her nest mates for the first time. All of these are nerve-wracking for a hamster and the first thing she needs is some personal space in which she can feel safe. The last thing she wants is to be handled and bothered. Leave her alone for several days to get used to her new home and the smells that surround her. During this time, she can spread her own scent around the cage, build a nest, and maybe hoard some food. Change the water and food daily, but don't touch her yet. Don't worry if she is startled at first. She will start to get used to your hands coming in and out of the cage and learn that your presence means fresh water and new food. If need be, add tissue paper or extra bedding. Do this at the same time every day, if you can. Late evening is ideal as hamsters are more alert at night. She will start to get used to you showing up every day to give her fresh food and water, and you might start to see her come out of her nest to watch you or run to the food bowl as soon as you're done. It is very important that you let the hamster come to you first. Do not chase her or forcibly grab her or she might get frightened and bite you. Wash your hands thoroughly first. Put a treat on your hand and lay it flat inside the cage. She might come and sniff at your fingers, and she might nibble; don't be startled if she does this. She is likely testing if you are food. If you are lucky, she might crawl on your hand right away and eat the treat. She might sniff at your fingers and then ignore you, which is fine as well. Put the treat closer to the edge of your hand where it is easier for her to reach. She might not feel comfortable crawling onto your hand completely just yet. Once she feels okay with sitting on your hand, gently stroke her back with your free hand. After doing this two or three times over a few days, try bringing her out of the cage still on top of your hand. Unlike other animals such as dogs, hamsters have no concept of bad behaviour and do not understand punishment. Most of the time, hamsters do "bad" things out of either fright or boredom. If your hamster is biting you, distract it with a toy or a treat. A nibble generally means that they're testing out your scent. My last hamster, Shakespeare, constantly licked and nibbled my hands as a sign of affection. If your hamster bites hard, it means they're scared and don't want to be on your hand. Hamsters are naturally prey animals and get startled quite easily. Time will tell what makes your hamster bite. Reinforce good behaviour with treats, and stop doing things that makes your hamster stressed. I don't have a hamster. My hamster used to bite, but not anymore. My hamster nibbles, but not hard. My hamster bites me! Help! Hamsters don't like sudden loud noises or movements. Your hamster will trust you if they know you're gentle and speak quietly. What does it mean if my hamster squeaks? Hamsters can make noises for several reasons. Zelda always squeaks at Hemingway when they're together when she's feeling grumpy. A hamster can make a frightened sort of screaming sound if they're really scared; if your hamster does this, stop what you are doing and leave it alone for a while. Hamsters can also make happy little chirping noises, but all hamsters are different. Hemingway never makes any noises at all, although Zelda is very vocal when she likes to be. Learn your hamster's personality, and you'll start to understand what they are comfortable with. 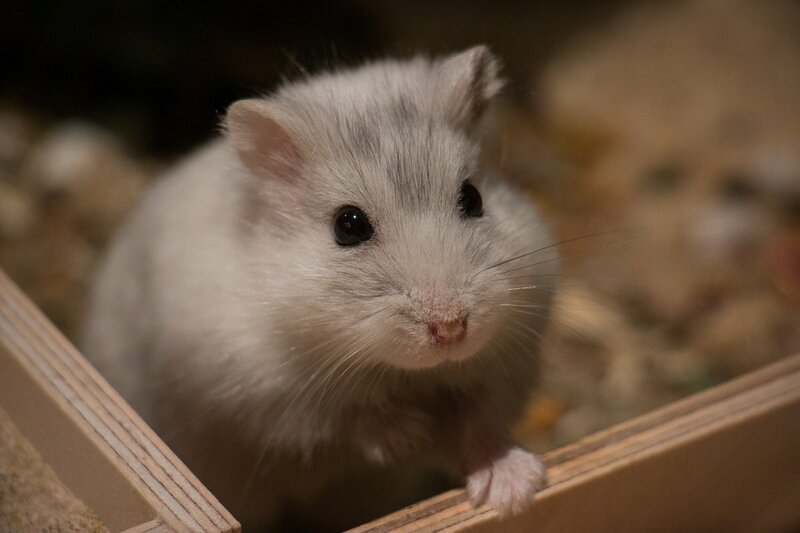 Once things have settled down and your hamster is coming to you, exploring your hand, and exploring the room, give your little friend some extra things to keep them from getting bored. 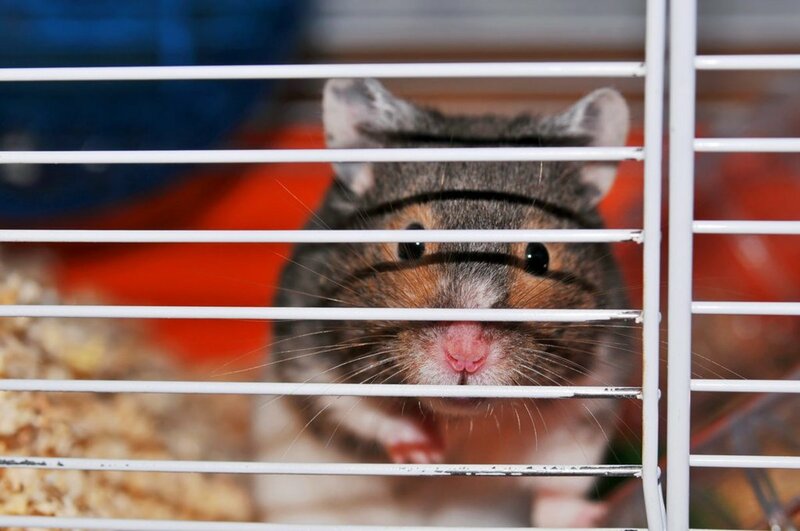 If your hamster is bored, it might dig continuously in the same spot or nibble at the bars of its cage. Install a wheel. Make sure it is big enough as a small wheel can injure the hamster's back. Give your hamster chew toys. Wood is perfect as they can gnaw at it. See if your local pet store has it. Give it fresh vegetables. Cucumber, carrot, and lettuce is good. See what your hamster likes and dislikes. Let your hamster ride in an exercise ball. This is a great way to get your hamster out of its cage for a while in a safe way. Make sure you don't keep her in the ball for longer than twenty minutes. Give your hamster old toilet paper rolls. My hamsters love crawling inside them and chewing them up. Add unscented tissue paper to the cage. 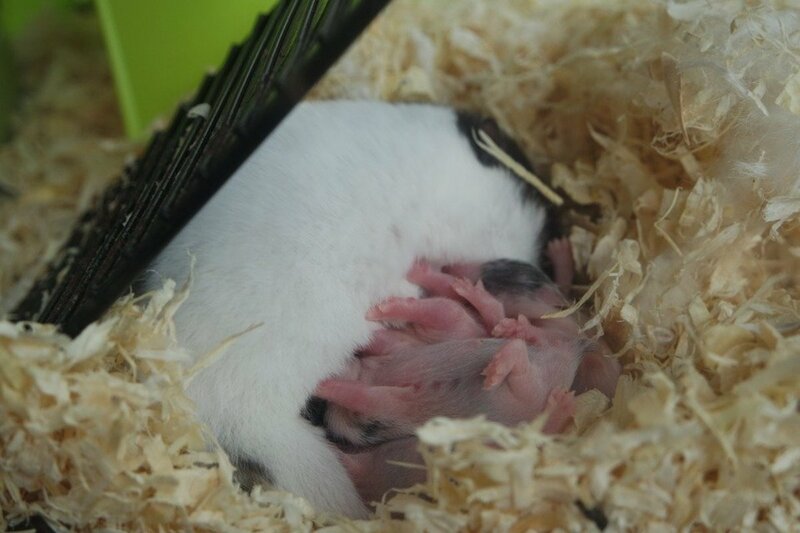 Hamsters like to tear it up and add it to their nest for comfortable bedding. If you provide a happy home and a calm environment, your hamster will look forward to playtime with you! With these important steps, you will soon have a healthy and happy hamster that completely trusts you! Always be kind to your pet, feed them every day, clean their cage once a week, and soon you will go from giant stranger to beloved best friend. Hamsters are really sweet creatures and it is worthwhile having one that trusts you. Good luck, and enjoy! Three days ago I got a hamster (not my first time owning one). I let her roam around the counter (so I could clean her ball) while I kept a careful eye on her. She ended up falling into the sink after I’d cleaned her ball and I went to put my hand under her to help her up. She willingly climbed on my hand, but when I picked my hand up to get her out of the sink, she made a scared screaming sound. Is this normal for a hamster you’ve just gotten? Where’d you get the name "Zelda" for your hamster? I got it from the Legend of Zelda games! I have a male hamster that is about ten-months-old and a baby male hamster that is almost five weeks old. I know that usually, hamsters don't live together, but is there something I can do so they can live in the same cage? I tried to make them littles "dates" so that they get to know each other more, but what else should I do? 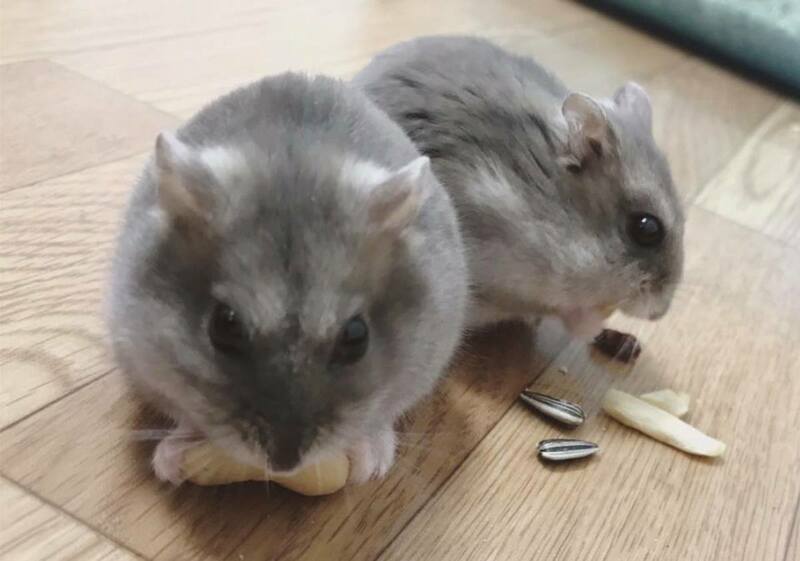 What type of hamsters are they? If they appear to get on well, it might be safe to house them together as long as they have a large cage with their own space. Since they’re both males, they might fight, so keep a close eye on them and how they interact with each other. If they are Syrian hamsters, then they absolutely MUST live separately. If they’re dwarf hamsters, they have a chance. Best to buy an extra cage just in case. I got my dwarf hamsters a month ago. Whenever I give the male treats, he scratches the food, smells it, then goes away. He also doesn't want to be touched. He sometimes attacks his water bottle or his house for no reason, and I'm scared to tame him. I've never touched him, and I've tried my best to be gentle, but he seems to be grumpy all the time. The female is perfectly fine and tame. What should I do? It sounds like you have a hamster with a grumpy personality. He may be uncomfortable with his surroundings. Not all hamsters are okay with the same things. I’m assuming you bought them from the same place, so it’s unlikely to be abuse from a past owner. Are there other pets or small children around? Maybe he’s unhappy with his cage. Try offering him your hand to smell and see how he reacts. Also, don’t disturb him when he’s asleep or stretching, he’ll definitely be grumpy if you do that! Keep me posted. I have my hamster for four days now and he is still shy. The other day I put my hand out as you said but he just bit me gently and it bled a tiny bit. What should I do? You’ve only had him four days so there’s no way he’ll be used to you yet. Please read the article carefully. It says not to bother your new hamster for at least a week because he’s still getting used to his new cage and the smells around him. I have a male baby dwarf hamster named Miles. He’s unmotivated by treats. How else can I get him to trust me? Just be patient. If he lets you pick him up, that’s a good sign. Let him sniff your hand and see if he climbs on. If he doesn’t like the treats you’re giving him, offer fruit or veg instead. We have had our dwarf hamster for a week, but she nibbles me soft, then hard, then harder, and she doesn’t like us near the cage and seems to scream. I have handled her and was told she is tame, but feel she wants to have no contact with humans. What do I do? One week isn’t nearly long enough for her to get used to you. Do you let her come to you? If she’s hissing or “screaming” when you approach the cage, then it’s probably not a good idea to pick her up. Please read the article carefully because it sounds as though you’ve missed some steps. Don’t pick her up unless she comes to you and always be quiet around her cage. I'm asking about my hamster biting. I've had him about two weeks now. He draws blood, too. I held him the other day to get him out when I was cleaning his cage and he bit me really hard. I didn't want to hurt him by tugging my finger out his mouth so I let him down gently with him still biting me, it bled and it was deep, too. 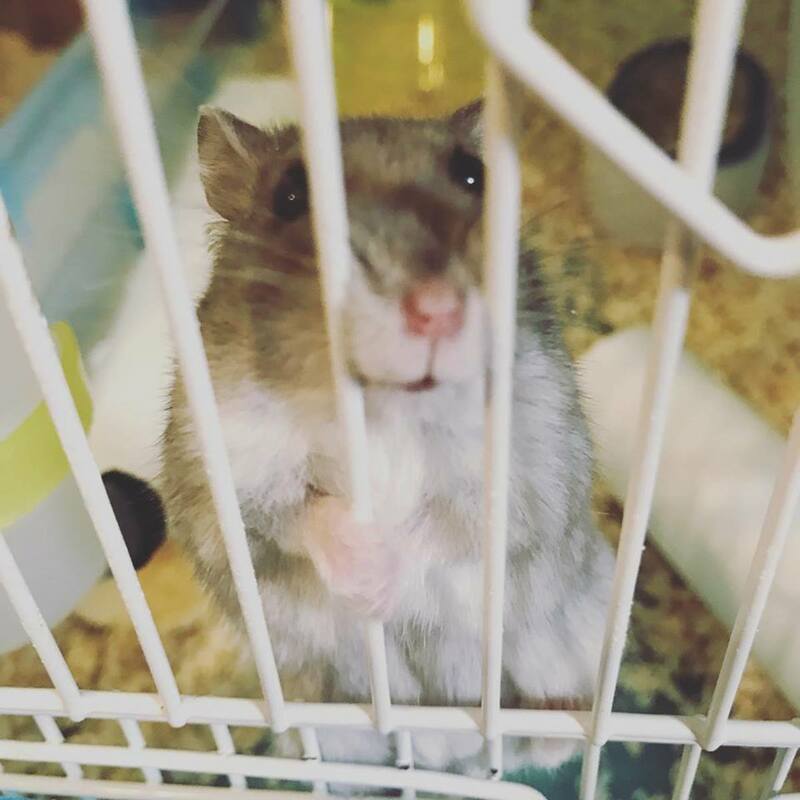 Should I give my hamster more time to settle in or should I just try to get my hamster to trust me and keep trying or should I leave it? I’m sorry to hear your hamster is still biting. He mustn’t be comfortable with you yet. Sometimes it isn’t possible to tame them either. That being said, it’s only been two weeks. Don’t pick him up anymore since he clearly doesn’t like it. Instead, let him get used to your hands being in the cage when you change his water and his food. If you need to pick him up, use gloves. By the way, how big is his cage? If the cage is too small hamsters can get really territorial and bite anything that comes near them. My hamster always hangs off the top of the cage when I try to sleep and it’s really loud. What do I do? Move the hamster to a different room when you sleep. I have tried to teach my hamster not to bite me by using your hand treat trick, which is also recommended by many other sites - but he keeps biting me. Do hamsters teeth when they're young or is he seeing if I'm food or does he just not like me? If he keeps on biting me will he still be able to trust me if I keep trying to teach him not to? It sounds like he might be scared of you. You have to give hamsters time to get used to their environment and to your smell. If you keep sticking your hand in his cage when he doesn’t like it then he’s going to be frightened. 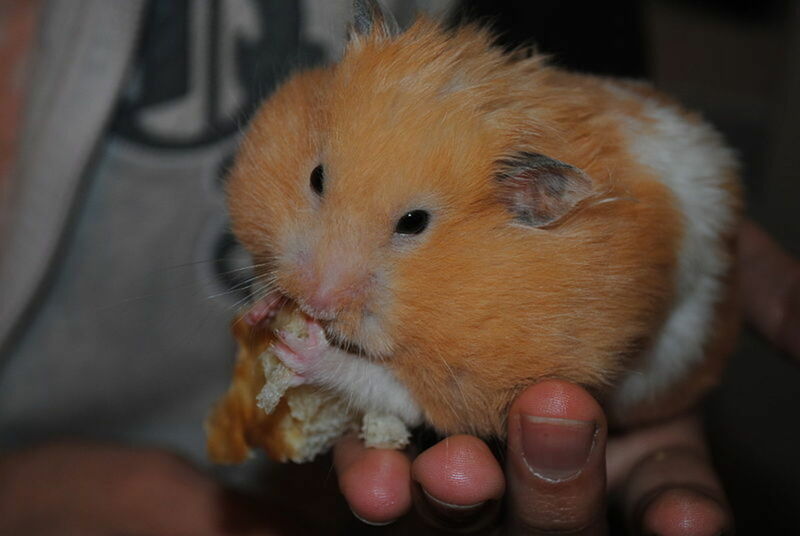 Some hamsters are just nibblers as well. Does he nibble or does he bite hard and draw blood? How long have you had him? I have a Syrian Longhair hamster, and she has been with us for a few weeks. She is only a baby, so her coat is still growing in. Do I need to brush her at this point in her life? Also, I’m scared to pick her up, because last week, she bit down really hard on my friend’s finger and drew blood. How do I hold her? 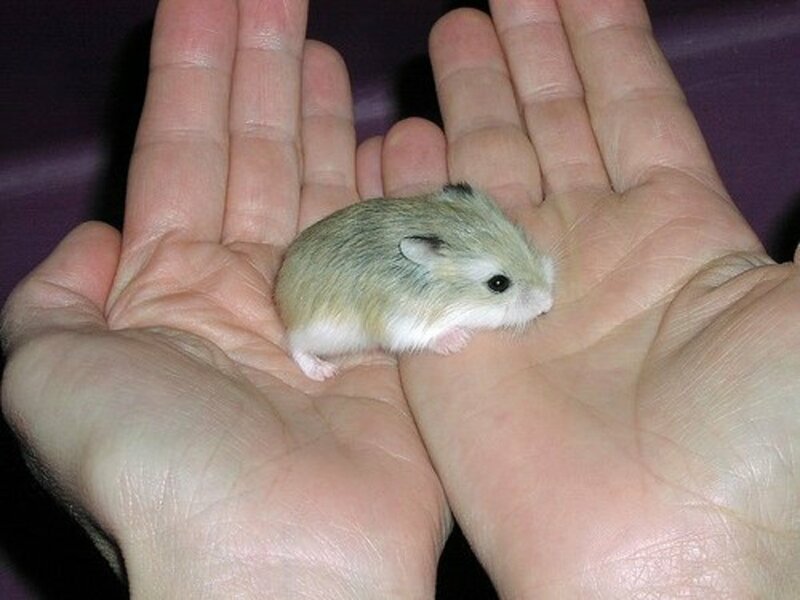 If you read the article, you’ll see a guide on how to get your hamster to let you hold her. Also you don’t need to brush hamsters at all. How old is she? She should be with her mother at least until after she’s 4 weeks old. 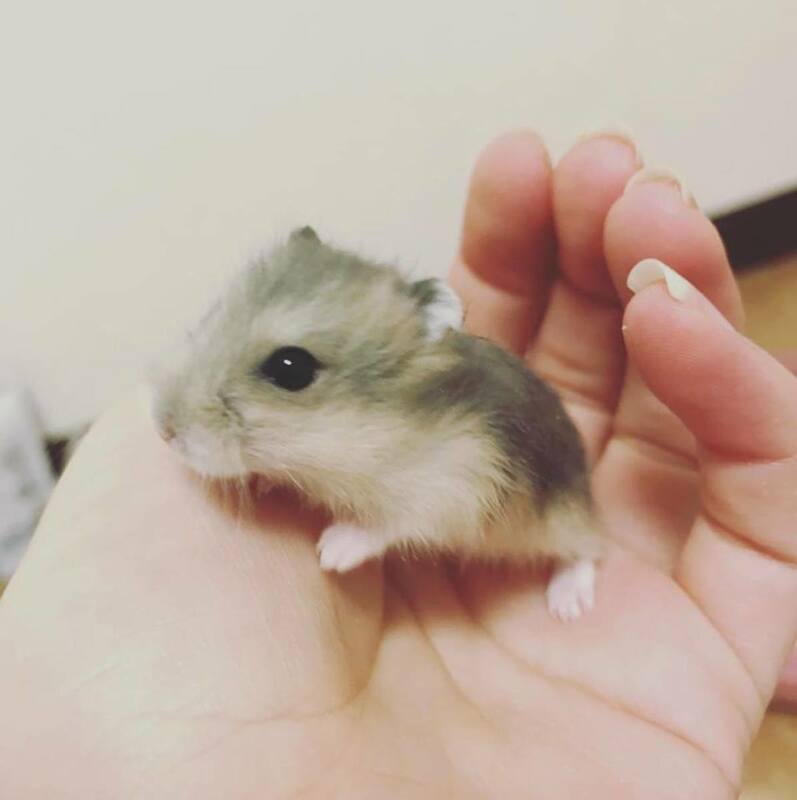 My male baby dwarf hamster won’t eat or drink. I got him today I don’t know how to help him to like and trust me. What do I do? You got him today, so of course, he won’t trust you yet! It takes several weeks for a hamster to get used to its new owner and he’s probably not eating because it’s daytime, he’s in a new place, and he isn’t comfortable enough in his new environment to go out exploring yet. I'm 13 and reading this reply helped. Ollie is my first hamster and I've had him for a week now. I'm worried because I have been chasing him and making him nervous. Do you think he will still be able to trust me after some time has passed? Also, I have a dog and she always whines at the door of Ollie's room. Will this make him nervous around me? Please don’t chase your hamster! You have to wait for him to come to you. You’ve only had him one week. You shouldn’t be bothering him at all yet because he has to get used to his new cage, new food, the new smells around him, and everything like that. You should also try to keep the dog away. Obviously, your dog knows there’s an animal in the room and probably wants to check it out, but it’ll frighten Ollie very much. Leave the hamster alone for a few days. I know it’s hard because it’s exciting having a new pet, but he’ll be friendlier in a few weeks. As I was reading the page it said to take a week. I got my hamster two days ago and I’m bringing him around my room and on my bed and sometimes on my lap. However, when I try to pick him up he runs away. Once he bites me he’s a little calmer but doesn’t want to be held too long. I know I shouldn’t be handling him so fast so should I stop and give it some time or keep trying gently and reassuringly (he did sleep on me once does that mean he trusts me)? Please do let your hamster get used to his new cage. He’s probably very frightened when you try to pick him up and if he’s running away you definitely shouldn’t grab him. Running and biting are very clear signs he doesn’t want to be handled yet. Pulling him out of his cage despite knowing he’s scared is quite cruel. It’s unlikely he was sleeping on you; hamsters often fake their deaths by going very still when they’re scared. Please leave your hamster alone for at least a few days so he can get used to his environment and to your smell. Don’t chase him around or grab him if he doesn’t want to be touched. I’m sorry if this sounds harsh but you really shouldn’t be carrying him around yet if you’ve only had him for two days. Why when I put my finger by the cage he would come over and smell it but when I call his name he comes over looks at me and goes back to what he was doing. 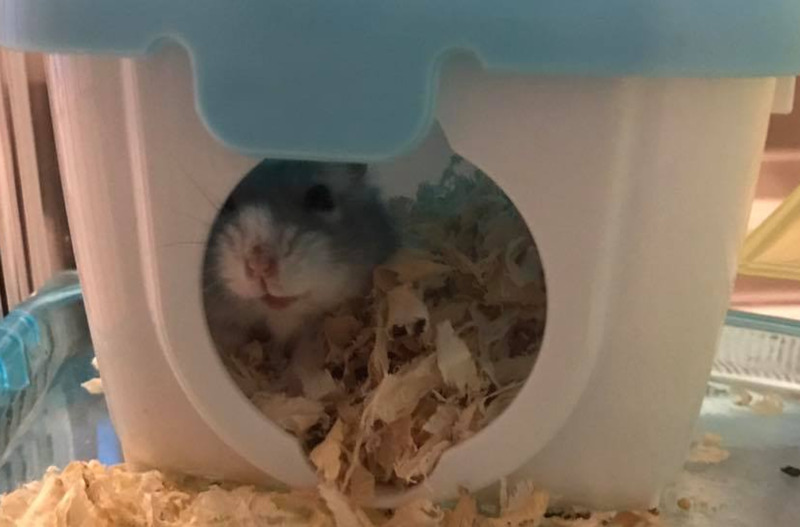 I also just got him today, he is a Syrian hamster. Why doesn't my new hamster trust me? It’s good he’s already smelling your hand when you only purchased him today. 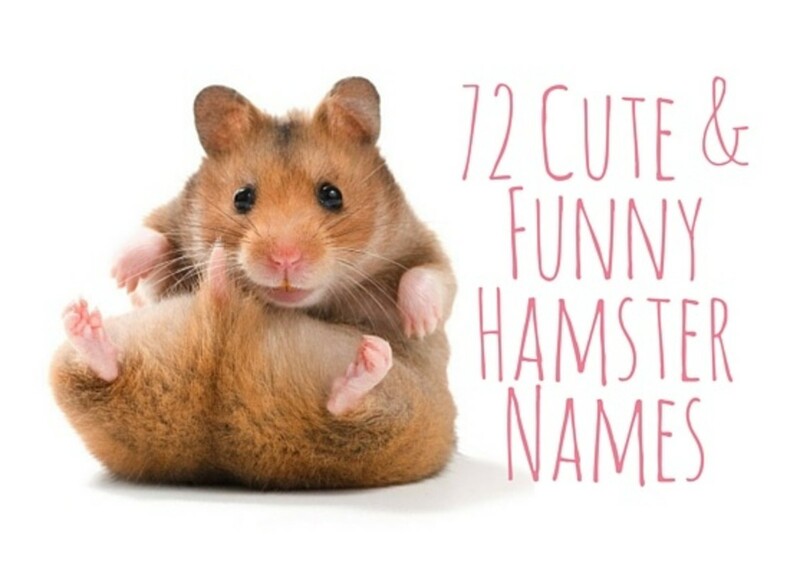 Hamsters don’t really understand their own names like dogs do. He’s probably coming over for a treat and then goes back to playing when he’s sniffed your hand a bit. It sounds like he’s going to be very friendly! My hamsters were never played with before I got them. I just got them a few days ago, and one of them is starting to warm up to me, but the other is still very afraid. I can not really improve her habitat anymore, and I am doing everything I can, but she still hates me! What should I do? You only got them a few days ago, so she probably isn’t even used to her new environment yet. You can’t expect a hamster to love you after just a couple of days. Leave her alone, just quietly approach the cage once a day to change her food and water, and wait for her to explore her cage and get used to it before you even try to go near her. Hamsters all have different personalities. Some are shy, some are bold, and some are just terrified of humans. Just because one hamster is warming up to you doesn’t mean the other one will. Please let her get used to the new smells and sounds she is experiencing and don’t rush her. I got my hamster a week ago and it’s time to clean the cage, but how can I clean it when she is so afraid of me? I know it’s still early and she keeps hissing at me, should I just leave it for few days or what? Your hamster might be frightened of humans in general. You should get her a little house or igloo for her to hide in where she can feel safe. Never open this igloo so she knows it’s her “invisible” spot. Then you can take the igloo out and put it in a box while you clean the rest of her cage. I was wondering when I can put my hamster in an exercise ball? I got her a few days ago on April 20 2019. I have a Syrian hamster that I just got three days ago and the first night, my dad took him out of his cage and he dropped him on the floor. Still kinda annoyed about that. It doesn’t seem like my hamster, Mango, is traumatised by it though. But he always stares at me like I murdered his family and I don’t know why.... will I ever earn his trust? You’ve only had him for three days so you shouldn’t be touching him or bothering him yet as he hasn’t gotten used to his environment. You or your dad definitely shouldn’t be picking him up and bothering him. Please leave him alone for at least a week except to feed him and follow the steps of the article. It’s perfectly possible that Mango will trust you eventually, but three days is far too soon to expect anything. He’s probably staring at you trying to figure out if you’re a predator or not. 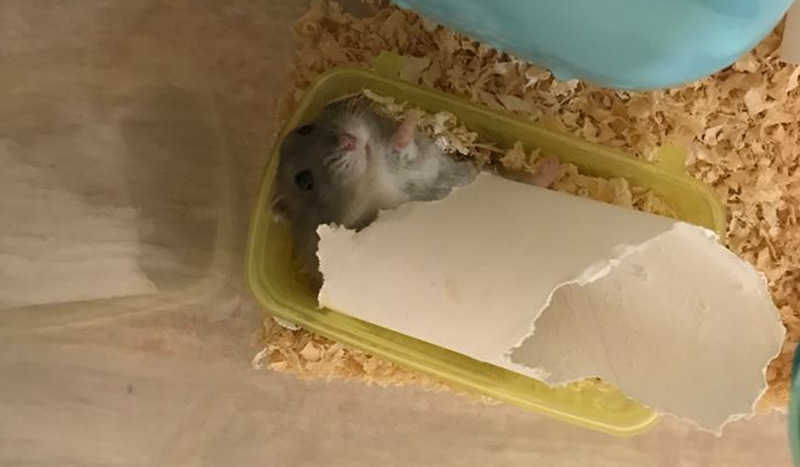 I recently just got a hamster (Syrian) and I’ve read your article and will be leaving him alone for a couple of days while he gets used to his surroundings. However, I noticed that he likes to climb on his cage, mainly in the corner. I don’t know if that is a problem at all; can you help me? Excellent article...as a former Gerbil owner your spot on. Thanks for the advice. I used to have a hamster years ago. He was very cute and I used to love holding him. Hi Poppy, your article is very interesting and loved the pictures of hamsters.I never had them as a pet but I love to watch them in the zoo.They are so sweet little animals, thanks for sharing about them. Hi, Flourish! Thank you for your lovely comment. I agree that plastic is much better than metal, and Zelda and Hemingway live separately. I bred them once and gave the babies for free to happy homes, which was a great experience. Lettuce is okay but you have to remove it within a day if they don't eat it all. Wet tail is usually caused by stress, but you're right that hamsters can also have diarrhea if they eat too much of the wrong thing. Thank you very much for your thoughtful comment. It is much appreciated as always. They are sweethearts! Very easy to take care of and can be quite cheeky, too. These are such beautiful photos! You obviously love these two. 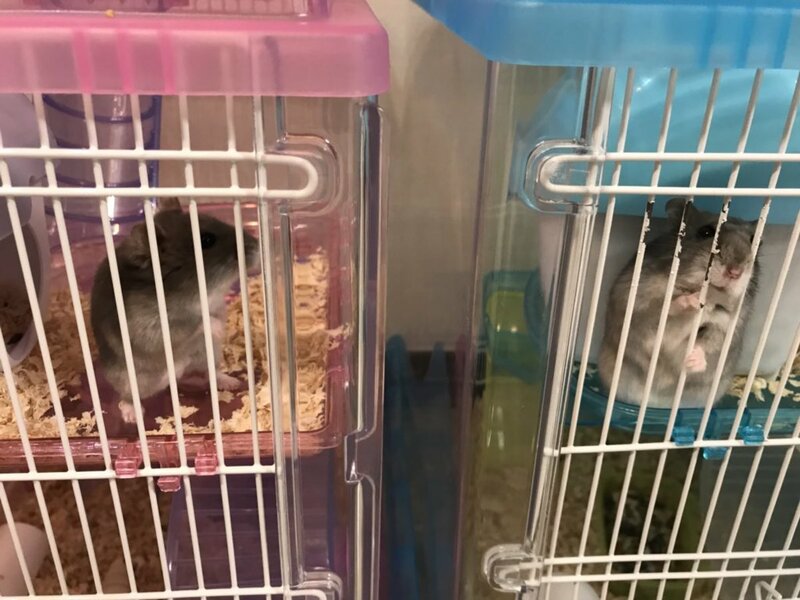 In the US, most responsible pet shops will not sell a male and female together because hamsters and gerbils breed very rapidly (don't let them out at the same time to prevent that issue and space the cages enough distance if you know what I mean). I used to have hamsters when I was in college and my daughter was young. They always lived about 4 years for me. I found that one of the plastic exercise balls rather than the metal wheels was always preferable. 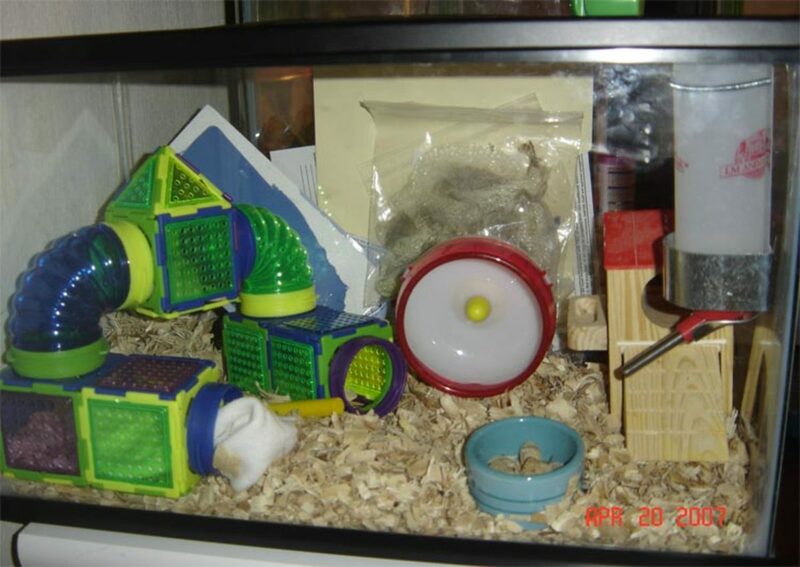 I usually had one set up inside the case and used one for allowing them to travel around my home or apartment outside the cage. (I knew of too many hamster escapes through heating systems to trust them alone.) Also at that time, you could also buy plastic houses with large connecting tunnel systems that were reconfigurable. It was fun to build and watch them use it. I also gave them different textures of hamster-sized cardboard boxes that they could make their nests in. Just remove the top panel. It allowed them to make their nests darker during the day since they are chiefly nocturnal. I also tended to avoid lettuce, watermelon, and other very wet fruits and vegetables because they caused a wet rear end (diarrhea). Raisins and whole, unsalted peanuts were also appreciated snacks. Best of luck on loving your sweet little babies. They are so beautiful. I had a pet hamster as a kid. I don't remember much about it. My mom was the one that really took care of it.